A pleasant nine hole course that provides some interesting moments of golf, played along the banks of the Alcabrichel river and forming part of an area famous for its spa facilities. Vimeiro provides some interesting panoramic views of the sea seen between the cliffs, and the hills and woods inland. 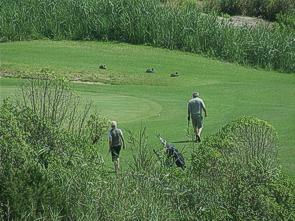 Frank Pennink designed the course along the banks of the river, dividing it into two parts. 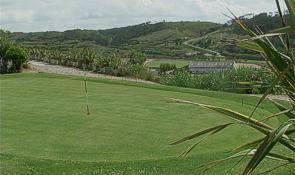 Although not particularly long, it is a challenging course: its fairways are narrow and there is little margin for error. These difficulties are felt right from the very first hole just a few meters from the hotel entrance, which provides a general view of the course: with the river to the right of the fairway and an out of bounds area on the opposite side, the golfer has to be sure to play accurately. 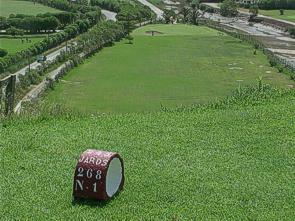 A second round can also be played of this nine hole course by starting from different tees. Facilities: Trolleys, Caddies, Club Hire, Hotel, Restaurant, Bars, Terrace Cafe, Tennis Courts, Swimming Pool (indoor and outdoor), Horse Riding Schools (indoor and outdoor), Beach.